A debut sci-fi epic explores a colonial world striving for independence from its master planet. This long and sometimes surreal tale is set on a planet informally referred to by its inhabitants as “Here-Born,” thereby differentiating it from their species home world of Earth, which they call “Earth-Born” or EB. The inhabitants of Here-Born were originally colonists sent from distant Earth; they crash-landed on Here-Born and began the slow, torturous process of adapting to a world with a higher gravity than Earth and no water, a blasted desert realm whose “face is scarred by one-third a sea of rock and awash in two-thirds an ocean of sand—and nothing else.” Despite these forbidding conditions, the Here-Born colonists flourished, adapting to the gravity and developing localized telepathy, a resistance to the planet’s extremes of heat and cold, and a prosperous trade in secondhand body-part replacements, a cultural innovation that never fails to revolt tourists from Earth-Born. One trader in such body parts is the title character, who’s also involved in a Here-Born campaign to throw off the imperial shackles of Earth-Born; as Once-Other rails at one tourist, Here-Born natives hate old Earth’s “underhandedness, your Earth-Born politics, your oppressive taxes, your laws, and your damn ignorant educational system.” And the last item—education—is unexpectedly important; “Never before,” Once-Other muses, “had any of us imagined how dangerous a weapon against young minds an education system could become.” This broader setting—freedom fighters trying to resist and subvert their political overlords—gives Nysschens ample opportunity to expound on all manner of political topics, with Once-Other at one point musing, “Can anyone believe that over on EB you pay higher taxes the more productive you are? That is how they reward success—by penalizing it?” The narrative often feels overlong and the characters, underdeveloped; the actual science in this sci-fi novel won’t have anybody confusing it with Dune. But the sociological observations that are obviously Nysschens’ main concern are indeed consistently intriguing. 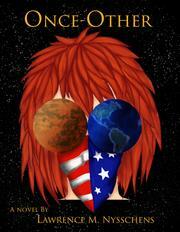 A revolt on a distant planet holds a mirror up to Earth in this erratically effective novel.